Re-chargeable Lithium Ion Battery Power Pack. Pollutions. Just Plug and Play in anywhere. Designed and Manufactured By Eclimo / Made In Malaysia. Constants Output Voltage : AC 240/50Hz. USB Output : 5V/1A each. Rated Input Voltage : Power Adapter 19V to 22V/5A. Solar Panel Input : 12V ~ 22V, 100Watt ~ 135Watt. 4) 2T Oil required minimum at RM300.00/= per annum. Total cost for the use of Diesel/Petrol Generators =RM 3,355/= per annum. (This is exclude unit cost of diesel/petrol generators). Pollutions : Noise, Smokes and badly smells of gases. 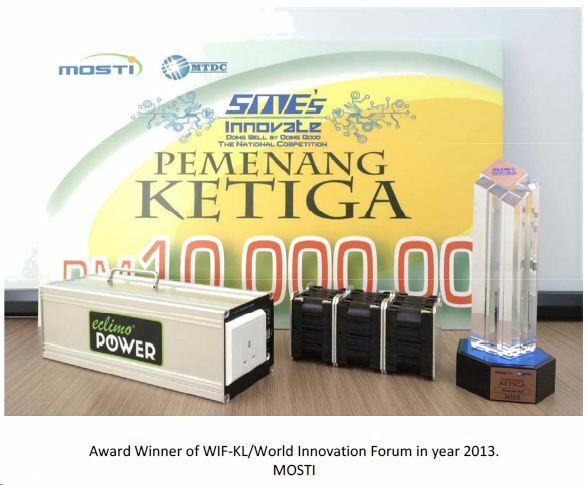 its only RM 0.18cents per full charge capacity for 400Wh. RM 0.18cents x 365 days = RM 65.70 per annum. No environmental pollutions at all. Its total Green and Clean Lithium Battery Power Pack and the most fit and easy product to replace diesel/petrol generators at any times.